Introduce your students to gene regulation with this lab activity focused on the lac operon. During the lab, students test the B-galactosidase levels of 3 cultures grown in the presence of glucose, lactose, or glucose and lactose. 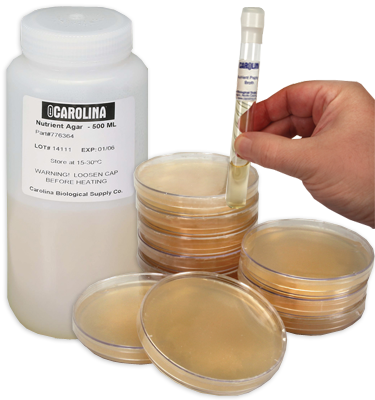 Perform as a quantitative (with spectrophotometer) or qualitative lab. Designed for 8 groups of 2 to 4 students. Introduce your students to gene regulation with this lab activity focused on the lac operon. During the lab, students test the B-galactosidase levels of 3 cultures grown in the presence of glucose, lactose, or glucose and lactose. You have the option of allowing students to perform the activity as a quantitative lab (with spectrophotometer) or as a qualitative lab (without spectrophotometer). This kit is designed for students working in 8 groups of 2 to 4. Note: Kit includes perishable materials. The o-nitrophenyl-B-D-galactopyranoside must be kept frozen.